Douglas Edward Smith | Littler Mendelson P.C. Douglas Smith focuses his practice on representing clients in complex class action litigation and offering advice on legal compliance with federal, state and local wage and hour requirements. He also assists employers in responding to agency audits and investigations by the U. S. Department of Labor, the Washington State Department of Labor & Industries, and the Washington State Employment Security Department. He has worked with many well-known national and regional employers, including retailers, gig economy businesses, food manufacturers, and others. He has also consulted on a variety of state and local legislative matters, and has testified before the Washington State Legislature on numerous employment-related bills, including proposed legislation on class action and wage and hour issues. 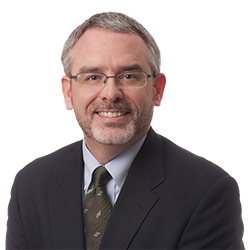 Douglas has served as chair of the Employment Law Committee of the Association for Washington Business, and as an employer representative on the Employment Law Advisory Committee to the Washington State Department of Labor & Industries. In addition, Douglas has authored several articles on wage and hour compliance and class action litigation. Independent Contractors, Temporary Workers, Interns and Volunteers: Are They Your Employees?